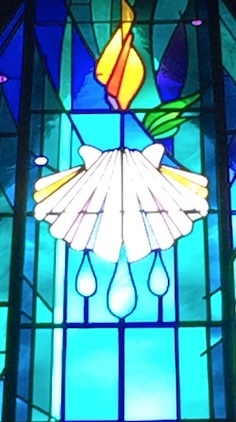 Sermon for Pentecost 18: "Last is First"
Ever had a conversation like that? Yea, I didn’t think so. After all, no one likes to lose. It seems from birth, we’re hardwired to think this is way. Greatness is good. Bigger is better. If you’re not first, you’re last. Let’s be honest, Wayne Gretzky isn’t called the “The Great One” for all the hockey pucks that missed the net. Gary Payton didn’t become one of the best two-way guards in the NBA by turning over the ball each possession. Marshawn Lynch didn’t earn the name “Beast Mode” by fumbling the ball every touchdown run. Greatness is winning, not losing. Strength, not weakness. Power, not mercy. Being Master, not servant. First, not last. This is greatness in the world. Greatness, according to Jesus, is the exact opposite of the world. Mercy. Sacrifice. Humility. Weakness. Suffering. Death. Jesus reveals his greatest glory for us and his disciples, not on the mountain of Transfiguration but on Mt. Calvary. Not in the healings of Capernaum but in bearing our disease and death on a cross outside Jerusalem. Jesus came to seek and save us who are lost, losers, least, and last. This is the second of Jesus’ passion predictions in Mark’s Gospel. In stark, clear words Jesus teaches the disciples that his suffering, death, and resurrection were the heart of his teaching and preaching, and it still is. Jesus’ words reveal the beating heart of the church’s life. In Holy Baptism we’re joined to Jesus’ death and resurrection. His forgiveness won on the cross is delivered again and again in our ears every time we hear his Absolution:you are forgiven all your sins. Jesus’ Words consecrate and hallow simple bread and wine with which he feeds us his body and blood for the forgiveness of sins. Jesus’ words reveal the Father’s great love for us. It was God’s will that the Son of Man came into the world as a weak and helpless child for you. God’s will that He who knew no sin became sin for us. God’s will to crush him, to lay upon him all our sins, all our delusions of greatness and grandeur. God’s will to make him who was the firstborn of all creation to become the last one, the lowly one, the least, lost, and losing one on the cross for us. Jesus’ Word reveals how God measures greatness. Not in power but weakness. Not glory but a cross. Not the greatness of winning but the greatness of losing, losing one’s life in order to gain it, in laying down His life as our ransom from Sin and Death. While Jesus proclaimed his death and resurrection, his disciples played their own little game of thrones, arguing with one another about power, glory, and who was greater in the Kingdom of God. The disciples were like children caught in the act. They kept silent. The Law did to them what it does to us all: it shuts us up. God’s Word reveals the truth. That we are in fact the greatest. The Epistle of James says we are like the disciples, great at quarreling, desiring, coveting, at war within ourselves. We are great at comparing ourselves and our sins to others. Great at being selfish and self-serving. Ever notice how easy it is to get a drink from the fridge for ourselves, but when our children or spouse ask us. Ugh. Grumble. Groan. Yes, we are great. Great at putting ourselves first. Great at loving ourselves more than God and the least, lowly, and lost ones. Great and chief of sinners. If anyone deserves the title Greatest of all time, it’s not us, or the disciples; it’s Jesus. And yet, Jesus turns our notions of greatness completely on their head. According to Jesus, greatness looks like the Son of Man being delivered into the hands of sinful men. Greatness looks like Jesus, the One who is greater than all, who became the last, the lowly, the least, and the loser on the cross for us. Greatness looks like Jesus who emptied himself, by taking the form of a servant,being born in the likeness of men. And being found in human form, he humbled himself by becoming obedient to the point of death, even death on a cross. Jesus’ cross is a cosmic “Greater Than” sign that swallows up all our notions of greatness, our sinful pride, even death itself. In Jesus crucified, weakness is greatness. Losers are winners. The lowly are exalted. The last are first. Sinners are justified freely. To illustrate his teaching, Jesus placed a little boy before the disciples. “Aww, how cute”, we say. But we have to remember that children weren’t idealized or honored in the ancient world. Their social status was no different than a slave or servant. They were helpless, dependent, nobodies. In this way, we are that child: completely and utterly dependent upon God’s mercy to us in Jesus. True greatness, you see, isn’t found in our greatness, or our humility, or our anything at all for that matter. Greatness is found in Jesus who though he was the greatest, yet for our sakes became the last. Greatness came to us in the weakness of a child born of a Virgin in a manger in Bethlehem, and in the humility of the Suffering Servant on the cross. Greatness comes to us ordinary bread, wine, water, and words that do as Jesus declares: give the greatest gift of all: forgiveness, life, and salvation. Greatness happens when pious parents do the greatest work of evangelism there is in bringing their young ones to be baptized. Baptism, you see, is where it all begins; where we become God’s children. If anyone would be first, he must be last of all and servant of all.”That’s who we are in Christ. Servants, set free from our great sin by our greater Savior. Faith doesn’t ask who’s the greatest. Faith looks to Jesus crucified and says, “There. That’s greatness.” And through the cross of Jesus, faith looks out into the world and sees Jesus precisely where the world does not look: in the least, the lost, the little, the child. Sermon for Pentecost 17: "Hope for the Helpless"
So often in life we find ourselves feeling helpless. Everyday things, like weather, politics, or school strikes. And in life-altering ways too: hurricanes, tornadoes, or earthquakes, a diagnosis of cancer or an untreatable autoimmune disease, or the sudden death of family or friends. In many ways our Gospel reading from St. Mark this morning is a story of helpless people, and our Lord who came to bring hope to the helpless. The crowds, the disciples, the father, even the boy, they were all helpless. And in this way, St. Mark does us all a favor in telling this story the way he does. Mark is a down to earth Gospel writer. He’s not going to give us a spoonful of sugar; he tells us like it is. Here’s a man who knows what real life is like. Not kittens riding on a unicorn skipping across a rainbow. Life in this fallen world is messy. Full of arguments. Fear. Doubt. Anxieties. Worry. Disease. Death. Life often leaves us feeling like the crowds, the disciples, and the father. Helpless. As St. Mark tells us this story he reveals our own helplessness. We’re not spectators; we are players on the field, fellow travelers through the valley of the shadow of death. When they brought the boy to Jesus he saw this boy’s helpless state. Rather gruesome I imagine. Convulsions. Foaming at the mouth. Rolling around on the ground. “How long has this been happening to him?” Jesus asked. “From childhood.”The father replied. The same is true for us too. From the day we’re born, and then born again in Holy Baptism, we’ve a target on our back. Hunted by the devil who prowls like a roaring lion seeking to devour us. Hated by the world for the name of Christ placed upon us and his cross we confess. Hounded by our sinful flesh. Helpless in our trespasses and sin. And helpless when the fallen world comes crashing down around us. When temptation is creeping at the door of our heart and mind; when we fall into sin we so foolishly thought we had under control; when guilt and doubt over our fears, failures, and faithlessness overwhelms us like a thundershower. Perhaps, then, at those times, you’ve prayed that same little prayer that boy’s father prayed. It’s a good prayer. An honest prayer. A prayer of faith. You can’t say it any better than this. Like this father, we are simultaneously believer and unbeliever. I believe, help my unbelief.This is no self-credentialing, self-justifying, self-referencing “faith.” This is the real thing. This is how faith sounds – I believe Lord, and only you, the author of my faith, can deal with my unbelief and sustain the faith you’ve given me. As we confess in the Catechism: I believe that I cannot by my own reason or strength believe in Jesus Christ my Lord or come to him; but the Holy Spirit calls be by the Gospel, enlightens me with his gifts, makes me holy, and keeps me in the true faith. Being helpless can feel terrifying. And yet blessed are you who are poor in spirit, for yours is the kingdom of heaven. Blessed are we who are weak, for our Lord is strong. Blessed are we who are helpless, for our help is in the Name of the Lord. The same Lord who stood before that father and his son also became a helpless infant born for us and our suffering servant on the cross. Jesus didn’t come to save people who have it all together or have everything figured out. That old saying has it backwards: God doesn’t help those who helps themselves; God helps the helpless. The Lord is near the brokenhearted. The bruised reed he will not break; the smoldering wick he will not extinguish. While we were still helpless sinners, Christ died for us. What Jesus did for that boy and his father, He does for all on the cross by His death and resurrection. Jesus cast all of our doubt, fear, worries, anxieties, helplessness, sin, and death upon himself on the cross. And he cast out the devil. His cross is the exorcism of the world. Our Baptism is our exorcism too. Depart unclean spirit and make room for the Holy Spirit in the Name of the Father and of the Holy spirit. His holy absolution does for us what he did for that boy, he raises us from the dead with his Word: I forgive you all your sins. In the Lord’s Supper, Jesus places his body and blood into our helpless mouths, forgiving us, healing us, and feeding us his Bread of eternal life. And after crying out and convulsing him terribly, the spirit came out, and the boy was like a corpse, so that most of them said, “He is dead.” But Jesus took him by the hand and lifted him up, and he arose. Arose. Anestiin Greek. The Resurrection Word. In that word Jesus gives us hope in our helplessness. Joy in our sorrows. Comfort in our grief. Life in our death. Forgiveness for our all sin. “This kind cannot be driven out by anything but prayer.”It’s a reminder to His disciples that power lies not with them but with Him. Jesus alone is our help in the darkness. When other helpers fail and comforts flee. Come, friend of sinners, thus abide with me. It is for us as it was for the father and his boy. Our help is in the Name of the Lord, who came from heaven to earth to help the helpless, to save, forgive, and raise us from the dead. Sermon for Pentecost 16: "Opened"
God delivers his Word in many ways throughout Scripture. We sing hymns rich in poetry and prose in the Psalms. The Lord is the strength of his people; he is the saving refuge of his anointed. We hear God’s commands and promises from the prophets, like Isaiah: The eyes of the blind shall be opened, and the ears of the deaf unstopped; then shall the lame man leap like a deer, and the tongue of the mute sing for joy. Epistles, like James, teach and apply Christian doctrine for our lives. My brothers, show no partiality as you hold the faith in our Lord Jesus Christ, the Lord of glory. Mark’s account of Jesus healing of a deaf-mute man is rich in prose, fulfillment of Isaiah’s prophecy, and thoroughly doctrinal. Yet it is not a Psalm, a prophecy, or an epistle. St. Mark uses one of God’s favorite ways to deliver his Word. He tells us a story. The miraculous, sacramental, story of salvation. Jesus returned from the region of Tyre and went through Sidon to the Sea of Galilee, in the region of the Decapolis. Jesus is in Gentile territory, a route that makes little sense geographically. His motivation, however is mercy, not convenience. Regardless of territory, language, or ancestry, the Son of Man came not to be served but to serve, and to give his life as a ransom for many. For Tyre. Sidon. Galilee. The Decapolis. Milton. For you. And for the deaf-mute man. As this story unfolds, we wonder, “How can a deaf man hear the Gospel?” For some, hearing isn’t an issue. For others it is. I imagine this man felt like I do without my glasses. Lost. Lonely. Isolated. Afraid. Anxious. A few Sunday’s back when the microphones weren’t working, we experienced a glimpse of what this man’s daily life. Without hearing we feel lost. Separated. This is what sin does to us spiritually. Apart from our Lord’s blessing, we’re lost. Yet in his precious hands, scarred and wounded, and in his living and active Word, we find the same life-restoring healing that Jesus brought to the deaf-mute man. Jesus comes to this man personally, as if he came all the way from the north in Tyre and Sidon to heal this man. He does the same for us.Who for us men and for all salvation came down from heaven… incarnate by the Holy Spirit of the Virgin Mary, made man, crucified for us under Pontius Pilate. Suffered. Buried. Risen. Ascended. Just imagine the man’s surprise. For the first time in his life he could hear and speak. Afterwards, Mark states, He spoke plainly, most English versions say. Mark uses a better word: orthos. Orthodontist, straight teeth. This man had orthos; straight speech. The Church is called to speak the same way: orthodoxy. Straight, right praise in Word, song, and deed. Mark tells us in a story what St. Paul declares doctrinally in Romans 10: Faith comes by hearing and hearing by the Word of Christ. How can a deaf man hear the Gospel? The same way any of us can. By grace. The Gospel creates hearing where there was silence. God’s Word creates faith where we only had unbelief. Jesus opens once closed our ears, and hearts, and minds to hear and believe his Word. Physical hearing can often be treated with medicines or technology. Thankfully, even if our hearing is completely gone, we cannot lose the divine hearing and divine speech of Jesus’ Word. We don’t receive Divine hearing and speaking from a speech class but it’s worked in our hearts by the Holy Spirit. Hearing the Gospel and believing God’s Word is a miracle only God can perform. Like the deaf-mute man, in hearing the Gospel we become different people. God opens our ears to hear his Word and our mouths to declare his praise to give a reason to anyone who asks us for the hope that is within us. That’s evangelism. We may speak the Word, but God performs the miracle of opening ears, hearts, and minds to the Gospel. It’s a miracle he performs daily, weekly; Whenever you invite a friend to Sunday School or Bible class or when our preschoolers hear God’s Word in the classroom and chapel time. 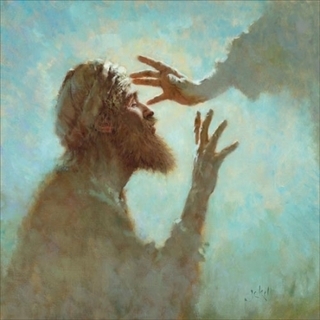 Jesus healing the deaf man is not only a miraculous story, it’s a thoroughly physical story. Jesus put his fingers into his ears, and after spitting touched his tongue. “Eww, gross,” we say. “How can spittle do such great things? Certainly not just the spittle, but the Word of God in and with the spittle does such great things.” Same is true of Baptism, our divine spittle. Jesus joins his ear-opening, tongue-loosening Word to his physical creation. He opens our ears to his Word and loosens our tongues for his praise, just as he did that deaf man. God does this, not with abstractions, but with gifts for our senses; we touch, taste, hear, see, and smell that the Lord is good. Words in our ears (or hands for braille and sign language). Water and Word in Baptism. Words that pronounce forgiveness in Absolution. Words with bread and wine that deliver Jesus’ body and blood. This story reveals the delightful surprise that God’s promises are as hard as the nails of the cross and as solid as the stone rolled away from his grave. As real as a finger in the ear and spit on the tongue. Jesus did more than open the deaf-man’s ears. He opened the kingdom of heaven to us. Be opened. Indeed, "He has done all things well. He even makes the deaf hear and the mute speak." Funeral Sermon for Robert Mills: "A Hands On Savior"
Some say the eyes are a window into a person’s soul. And while there’s some truth to that, I’ve found that you can get to know an awful lot about a person by their hands. The well-worn wedding ring or firm grip are an autobiography to the world; every callous, line, and scar have a story to tell us about that person. In the short time I’ve known Bob, I discovered that he was a man who liked to work with his hands. Hands that carried ladders, lugged fire hoses, and reached out to help those in need despite the danger. Hands that were joined in holy matrimony with Mary for over 55 years. Hands that held his children and grandchildren. Hands that worked on the house, helped a friend or neighbor, and sanded, sawed, and hammered in the workshop. Yes, Bob’s hands were a window into his life; witnesses to a life full of hard-work. Love. Contentment. And yet, Bob would be the first to admit that none of these earthly blessings came from his hands. For he knew that everything – clothing and shoes, house and home, a devout wife and devout children, labor and leisure, indeed all we have – all of it comes from our Heavenly Father’s hands. He richly and daily provides us with all that we need to support this body and life. And he does this purely out of fatherly, divine goodness and mercy, without any merit or worthiness in us. This is how he provided for Israel in their 40 years in the wilderness. How He provided for Bob throughout his life. How he provides for us all our earthly needs. By grace. Through Jesus’ death and resurrection. Everything we have in body and soul comes from the cross of Christ. Everything. Bob knew this, believed this, lived this. For he confessed what the Scriptures tell us, that as many good things as our hands do, they also do many bad things too. Our hands – and everything we touch – are stained with sin. Our sinful hands are a window into our sinful hearts. Jesus isn’t saying that food and earthly stuff is bad; he’s simply warning us that none of that will keep us alive forever. There’s nothing that our hands, heart, or head can do to save us from perishing. Hands that formed and knitted us in our mother’s womb. Hands that gave us, just as he gave Bob, new birth, new life from above in Holy Baptism; washed and cleansed of sin through the hands of the pastor who baptized us in the Name of the Father and of the Son and of the Holy Spirit. Hands that healed the sick just as he works through the hands of doctors and nurses to care for us. Not figurative hands, but real, touchable, hold-able hands like ours – flesh, blood, and bone. Hands of an infant held in Mary and Joseph’s arms. Hands that extended on the cross to save Bob, and you, and all. Hands that were nailed for you, and for Bob, and for all. Hands, head, and body that bore all our sin, disease, and death for us as he suffered at the hands of sinful men, for sinners. Hands that still bear the scars, those dear tokens of his passion, love, labor, and sacrifice for us. Glorified and resurrected hands stretched out to give us peace. Hands that carry us home to be with him when we die. Hands that will one day reach down into our graves and pull us up as quickly as an exuberant student raises his hand in class to answer a question. Jesus will give the word. Arise! And up we go: Bob, us, and all the faithful departed, will arise. We will be made new: a new hands, new, glorified, and resurrected bodies. This is why we make the sign of the cross and remember our Baptism as we confess the Apostles’ Creed…we believe in the resurrection of the dead, and the life everlasting. This is the confession, hope, and faith that Bob lived in, died in, and will live again in for all eternity. Yes, Jesus is also a man who likes to work with his hands. And his hands tell us the story of our salvation. Hands on the cross for us. Hands on the stone rolled away for us. Hands of blessing throughout our life. Sermon for Pentecost 15: "What Makes Us Clean?" Today’s Gospel reading picks up where last week’s left off. Last week Jesus dealt with things external (the washing of hands and so forth). This week Jesus deals with things internal (our unclean hearts). The Pharisees are gone, taking their spiritual accounting books, and their further contempt of Jesus, with them. Only the crowds and Jesus’ disciples remain. At the heart of the issue (pun intended), is the question: what makes a person unclean? What marginalizes us in the kingdom of God? What draws us away from God’s gifts? What defiles us before God? What separates us from God’s holiness? We ponder the same question too. What makes us unclean? And if we’re unclean, how can we be clean again? Can we apply some Scrubbing Bubbles to our sinful flesh, hire Mr. Clean to help mop up our sinful messes, or recruit Bill Mays to oxiclean our sin away? No. There are some stains only the cleansing blood of Jesus can wash away. Jesus begins his cleansing work in a rather strange way. Before he points us and his disciples to the source of our spiritual uncleanliness, he first gives us a biology lesson, gastroenterology 101. Again, the human heart, not the food, is the issue. Food goes in and comes out. Our body takes the nutrients we need and “the rest goes into the privy.” Food doesn’t touch the heart. Jesus isn’t talking about our cholesterol and heart health. Nor is the heart the emotional, squishy, lovey-dovey thing we think of on Valentine’s Day either. Jesus is talking about the heart as the seat and center of our will, where we determine what we say, think, do, and so on. Food doesn’t touch that. That’s why Mark adds that little commentary note. It’s like a road-sign in a one stoplight town, blink and you miss it. “Thus he declared all foods clean.” As Jesus will later reveal in a vision to Peter in Acts, here he reveals that he is the end of the Law. Leviticus 11 and the ceremonial Laws of the OT are fulfilled in him. Cleansing now comes in Jesus, not the Law. We’re to enjoy a lobster tails or bacon covered scallops. Food and drink is not what defiles you. That’s quite the list, isn’t it? Reading it feels like a spiritual firing squad, we don’t know which bullet killed us, but all guns are aimed at our heart. No one escapes that list alive, not a one of us. Don’t think so? If we say we have no sin we deceive ourselves and the truth is not in us.Food and drink aren’t the problem. Like a plumber, Jesus climbs down underneath the facades we’ve built and inspects the source of the leak. Before our Lord cleanses us, he shows us the source of our uncleanliness and sin and we finally see how bad it is. Not a smudge, something more like Macbeth’s wretched spot. Jesus’ words reveal our sinful hearts are rotten, sick, and dead to the core. This is why all that language of giving our hearts to Jesus sounds rather absurd when placed next to Jesus’ words. How could we possibly give him our hearts like that? We can’t. We can’t cleanse our hearts. What makes us clean? Like King Midas, whose touch turned everything to gold, everything is defiled by our unclean heart. Not so with the heart of God. He is merciful, slow to anger, and abounding in steadfast love. God reveals his heart to us in Jesus. And in Jesus, all things are clean: food and drink, and most important of all, you. Jesus cleanses us, not by telling us to scrub our sin a little harder, not by coaching us to wax on our own forgiveness and wax off our guilt, but in the most remarkable way. Jesus became the unclean one, the defiled one, the one who bore the dirt, grime, and filthy rags of our sin, all for you. Jesus became soiled with our every evil thought, sexual immorality, theft, murder, adultery,coveting, wickedness, deceit, sensuality, envy, slander, pride, foolishness, so that in him we become as he is: holy, blameless, clean. Jesus was Baptized with sinners to soak up like a sponge all that defiles us and let it be wrung out upon him on the cross. The blood of Jesus cleanses us from all sin. Ordinary food won’t fix our sinful heart. But there is a food and drink that will. Our Lord’s body and blood that we receive and as we do, sing, “Create in me a clean heart, O God.” For here is holy food and drink that cleanses us without and within. And if we are clean in Christ, then our mouths that once spewed forth sin, are cleansed by the Holy Spirit and filled with his gifts of love, joy, peace, patience, kindness, goodness, faithfulness,gentleness, self-control. O Lord, open my lips, and my mouth will declare Your praise. In Jesus’ cleansing sacrifice on the cross, you are forgiven. Holy. Pure. Without spot, wrinkle, or any such thing. In Jesus you are clean.